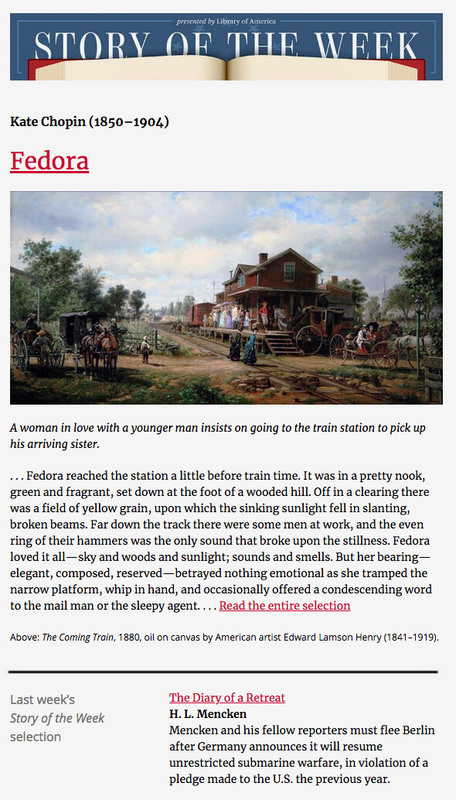 Sign up here for the Library of America’s Story of the Week feature! Each week’s selection could be anything: a short work of fiction, a sketch, an essay, a journalist’s dispatch, a play, a poem. The service is completely free, and we will never share your e-mail address with anyone else. Also sign me up for LOA promotional e-mails. Thank you for your interest in Library of America!